I read in the current The Writer's Chronicle that Dana Gioia, chairman of the National Endowment for the Arts for the past six years, will leave his position in January. He will then direct a new arts program at the Aspen Institute. This will be a half-time position. Gioia says that he achieved most of the goals he set out to do for the NEA, but now looks forward to more time for his own writing. Not that he hasn't been writing; he has been, just not poetry. He says that he has not published one poem for the past six years! Reading that shocked me. Six years is a long time to go between poems. I get antsy and weird-feeling if I go six weeks without writing anything new. But I do often go those six weeks or more without any new poems. I don't like it, but I've kind of accepted that as my particular process. A period of activity followed by a period of no activity. I like to think of the fallow periods as a time of gathering, of observing and storing up new material that's just waiting for the right ripe moment to unleash itself on the world. I realized as I read the article that something about the work Gioia was doing must have run counter to his creative urges. And I wondered about my own counter agents. It occurred to me that I've been in one of those do-nothing poetic periods. Recently, my husband was in Florida for five days and I had the whole house to myself. I cleared off the kitchen table where I do most of my writing. Each morning I sat there with a cup of ginger day and scribbled down something. All bad somethings. Not a poem materialized. It wasn't that I wasn't writing at all. I was. I wrote a substantial article and a book review. But my poetry brain was in shut-down mode. Maybe the pressure of Christmas shopping? Knowing I ought to be at the mall pushing myself to the counter. How about you? What stalls you in your poetic tracks? What conditions need to prevail for the poems to come? Is it possible to cultivate those conditions? Eight-year-old Virginia O'Hanlon wrote a letter to the editor of New York's Sun, and the quick response was printed as an unsigned editorial September 21, 1897. The work of veteran newsman Francis Pharcellus Church has since become history's most reprinted newspaper editorial, appearing in part or whole in dozens of languages in books, movies, and other editorials, and on posters and stamps. "DEAR EDITOR: I am 8 years old. 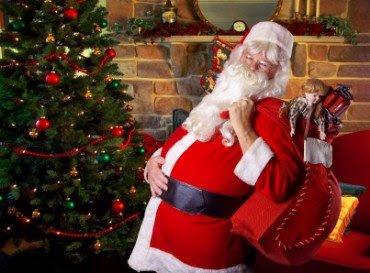 "Some of my little friends say there is no Santa Claus. "Please tell me the truth; is there a Santa Claus? The following is a list of online journals culled from the multitude that are now available. I've visited dozens of these journals over the past few days. The ones I've listed here all have many of the features I admire and look for. They might not be your favorites, but they'll give you a good idea of what's out there. Poetry, fiction, non-fiction, book reviews, gorgeous art; a bit difficult to navigate--have to keep going back in order to go forward. Each poem accompanied by audio. Strong work. Generous Contributors' Notes. Could be easier to navigate, red font is annoyingly hard to read, use of brackets is unattractive, but good poetry. Could use a darker font but excellent content. Strong poetry, one well-known poet featured with generous sample of poems. List of links to poets down right side of each page is handy but a bit too close to the poems on the page. Lots of good poetry here. Very nice. Poetry, prose, interview. Poetry, fiction, reviews, audio; excellent material. Poetry and reviews. Recently revived. Looks promising. In order to get in here your poem has to have been rejected somewhere else first. I hope the editor will reconsider the lime green font in menus and table of contents. Plain, gets the job done in spite of a somewhat confusing navigational system. Poetry, critical articles, pedagogical articles, reviews, art, translation. Very readable. New journal, some lovely graphics but some design issues, ie, pages that are hard to read because of font colors not working with background colors, cramped text boxes. Poetry and creative non-fiction. All poetry, organized by region of the country. Lovely art. This one's been a favorite for a long time; everything is here. Poetry, essays, reviews, audio with many of the poems. 14 sonnets by 14 different poets. Poems beautifully displayed with artwork. Font color in bio notes a bit hard to read. 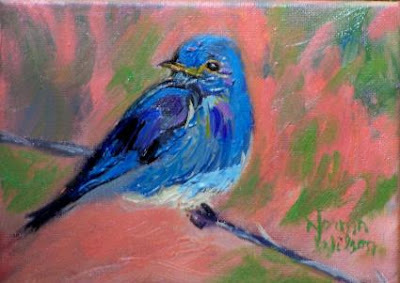 Poetry, reviews and critical articles, beautiful art by one featured artist. Lots of poetry, fiction, non-fiction, numerous interviews. Wish the navigation didn't require me to keep going back to the Table of Contents. Could use a darker font, but I like the audio element even though it took me some time to figure out that the butterflies meant audio. A single poet is featured along with a poetic statement. Apparently full issues also appear but not when I visited. Strong work. A single poem featured each week with audio by someone other than the poet. Available online or by email. Described as "an experiment in online literary and artistic collaboration." Demonstrates that it is possible to have a blog format and excellence at the same time. Each issue is themed and has different editors. Poems, artwork, audio. You have to scroll down, but it's worth the effort. Visitors may leave comments. Puts out a call for submissions for each issue. 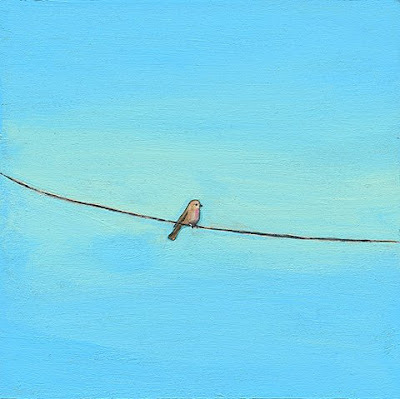 I begin above with a little visual joke—Bird on a Wire, or Bird on a Line, as an entry into today's topic which is online journals. There has been a great proliferation of online journals; some are excellent and some are not. Because of a discussion on the Wompo listserv, I've been visiting a number of these journals. Some I was familiar with and some were new to me. I've been asking this question: What makes an online journal worth visiting and revisiting—and worth submitting to? 1. I want a real website, not a blog posing as a journal. There are some blogs engaging in cool projects, but they don't seem journal-like to me. Just too easy to set up the blog kind. To my eye, they lack a professional, authentic feel. Usually. 2. Ease of navigation around the site. Don't make me jump through hoops to get to the poems. I like a Table of Contents that's no more than one page in. I want it to be easy and quick to get to what I want to see. I want to be able to move on easily from there. I dislike it when I have to use my back button to return to the main menu. I don't want to have to keep starting over. 3. No scrolling down to get to the next poet. Should be a link to take me there. 4. No menu with only picture links that I have to click in order to find out where they go to. 5. Menu on each page, at top or bottom or sidebar—and plain, not distracting. 6. No pdf download required. I want the material right there, in the journal. 7. I like it when a journal puts all of one poet's poems together or at least gives me a forward button. I want to read, not spend my time pushing buttons and hunting for things. 8. Bios with the poems or with a link to Contributors' Notes. 9. Authors' links in the bios. Just in case I want more of a particular poet. But I don't want a plethora of links which can get like flies at my eyes. 10. Archives. One of the benefits of publishing in an online journal is the long-term availability of the work. I think a journal should capitalize on that. 11. Inclusion of some reviews. A nice addition and a great way to promote books. 12. Eye appeal. It has to be good-looking. I like some images and I like some colors. Maybe this shouldn't matter, but it does. 13. Easy to read. No pale gray type in small font size. I dislike small text boxes. Too busy and crowded-looking. 14. Freedom from annoying ads. Sorry, but I just can't stand it when the journal is burdened by cheesy ads, especially if they do things like light on and off or move across the screen. More flies. 15. Good submission information. If submissions are now closed, I'd like to know when the doors will be open again. 16. I don't like it when the editor selects favorites from among the poems. That seems like implicit dumping on the others. 17. The editor should not publish in the journal. Exception for reviews and essays. 18. I like a mixture of poets familiar to me and ones who are new to me. 19. Of course, the poems should be wonderful and varied. Long poems are always a hard sell, perhaps more so online. 20. An audio element is nice. It's one benefit that the online journal has over the print one. Next time I'll list some of the online journals that I especially like. Online And / Or Print? Free Lunch arrived yesterday—the journal, that is. Edited by Ron Offen, a fine poet, it's a small no-glitz chapbook-format journal, bare bones but with consistently good poetry. Offen distributes the journal widely and most often for free. He's a generous guy and one of the few editors who consistently comments on the poems submitted. You might or might not agree with his suggestions, but it's nice to know that someone is reading your work carefully. Each issue includes a spirited editorial. Offen has strong opinions, and again, you may or may not agree with him. The editorial in the current issue is one I found hard to swallow. "Poetry and the Web: The Ephemeralization and Degradation of Poetry" is the second installment of a two-part editorial. Here Offen provides an explanation of why he believes that "by their very natures poetry and the Web are incompatible." He is not opposed to a journal having a website and Free Lunch has one; what he objects to is online journals. He argues that the Web is ephemeral while poetry "aims towards the eternal." Now I absolutely agree that people do not read as carefully on the screen as they do on the page. And I agree that it's not as pleasant to read online as it is to hold a journal in my hands and work my work through the pages. In fact, I prefer print journals to online ones and only rarely submit to online journals. Nevertheless, online journals are here and that's just a fact. And not such an unpalatable one. There are things an online journal can do that a print one can't: add lovely graphics, include links to other literary sites, correct mistakes. Some journals have added audio which is wonderful. I like reading the poem and then being able to listen to the poet read it aloud, especially if the poet lives somewhere far away from me. Now Offen makes it clear that he feels these additions detract from the poetry rather than add to it. I disagree. The technical glitches that Offen cites as nasty possibilities—a hard drive crash; a bug; troubles with the hosting site, both technical and financial; the end of the journal and the disappearance of your work from the site—seem to me no worse or more worrisome than the possibility that a print journal will go out of business before your work is published (I've had that happen), that there will be delays in delivery (also had that problem, many times), that your work will be inadvertently omitted (don't even let me get started on this), that your work will appear with typos that can't be fixed and your bio with your name misspelled (again, don't let me get started). "Who then is visiting these sites? Given the content of many of them, which ranges from the highly questionable to the offensively inept, I believe those who view them are chiefly the poets they publish and their friends and relatives. One is tempted to characterize them as poetry dumpsters for poetry that has been rejected by the print magazines. A poet told me that he had stopped submitting to anything but ezines because it was easier to get accepted in them--as if this proved their value! So from my viewpoint what e-zines represent is a dumbing down and degradation of poetry." I find the above statement difficult to digest. It's true that there are some mediocre online journals that are easy to get into, but it's also true that there are some terrific online journals with very high standards. Some of these journals are harder to get into than some print journals. I wonder if this editor really visited a good portion of these journals or if he merely snacked lightly from a small sample. Things change. Poetry styles change. Journals change. We need to change, too. That's not a bad thing. I think it's okay to prefer one medium over the other, but I think it's a mistake to choose one and dismiss the other. Why must it be only one? What do think are the qualities of a good online journal? I'll have some thoughts on that topic in my next post. I don't plan on making a practice of posting contest notices here, but this one caught my interest because it seems a rather good follow-up to the Times Literary Supplement contest I previously posted about. Both are unique in that readers do the judging. The finalists in the TLS one were selected by a few appointed judges. This new contest takes it one step further in that contest entrants do the judging. And please note that if you enter you must be willing to participate in the judging, but you will not read every single entry. Here are some details. This is a new poetry competition raising awareness for MAG (Mines Advisory Group). MAG currently works in about 15 countries around the world clearing minefields and live ordnance so that communities can get on with their lives in safety. The entry fee per poem is 6 pounds which is about 9 US$. The fee is paid online via PayPal. The poems are posted anonymously. A snapshot of recent entries is visible on the homepage. The contest is for unpublished work. The judging is in three rounds. 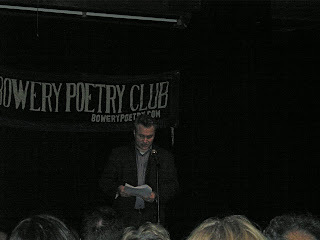 In each round the entrants read 12 poems. Peter Hartey, who sent me information about the contest, says, "It's a knockout system. In the final round everyone reads the last 12. I've never seen anything like it before. The mathematics are amazing - though I generally find it is best to steer clear of mathematical explanations. In the first two rounds you have a kind of 'voting web.'" Manchester. 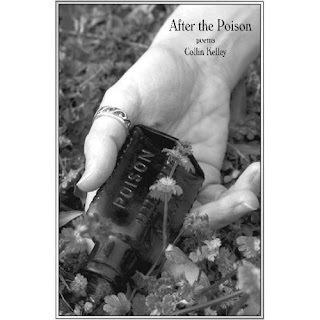 26th November 2008: With landmines still threatening the lives and security of thousands around the world, a UK-based poetry group is looking to use creative writing as a way of raising funds for life-saving humanitarian work. The competition will enable aspiring and established poets from across the globe to submit their on-line entries for the MAG Poetry Prize with proceeds going towards clearance and development work in countries affected by landmines and unexploded ordnance. The prize fund accumulates at the rate of £2 per entry up to a maximum of £10,000. This knockout competition will be run in a unique way with poets themselves judging the entries of their fellow participants rather than a panel of judges. “The winning poems will not reflect the taste of one or two individuals but rather the wider group” said competition organizer Peter Hartey. The closing date for the competition is April 30, 2009. MAG is a neutral and impartial humanitarian organisation clearing the remnants of conflict for the benefit of communities worldwide. MAG is co-laureate of the 1997 Nobel Peace Prize, awarded for its work with the International Campaign to Ban Landmines (ICBL), which culminated in the 1997 Mine Ban Treaty - the international agreement that bans antipersonnel landmines. Poetic Republic is a Manchester based not-for-profit organisation dedicated to the promotion of the poetic arts and humanitarian causes. Poet Susan Rich's poem, "Different Places to Pray," has been selected out of 3000 poems and short listed with 11 other poems for the final round of the Poetry Competition being held by The Times Literary Supplement. I was delighted to learn about this as Susan and I met when we both read in the 2007 Burlington Book Festival. She came all the way from Seattle. The winning poem will be decided by a voting system and the votes will come solely from online readers. If you click the link below you will be taken to the website where you may vote for Susan's poem, which is choice E.
The site requires a "sign up" process which takes only one minute to do. You will be asked for your email and your snail mail. No credit cards, no subscription plug. 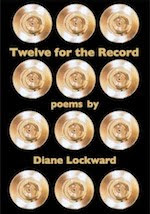 I agree with Susan's friend who said, "I have read all the 12 poems and objectively speaking hers is a sun although there are several other good stars around." nickels and dimes and to do lists; duck feathers from a gold pillow. ghost of her heart; jettisons everything but the shepherd moon, the hopeless cause. and grime of our gutted days, our global positioning crimes. Tell me, where do you go to pray – a river valley, a pastry tray? Click here to see the poems and vote. Those wishing to take part in the judging process should vote by December 5. The results of the poll will be published in the issue of December 19 & 26. The most popular poem will win £2,000; runners-up will receive a total of £1,500. One journal that I consistently like is Poet Lore. I recently finished reading the Fall/Winter issue. I always read this journal cover to cover. I like it because it's always packed with good poetry, has one or two terrific essays, and offers a handful of book reviews. Poems I especially admire in this issue are by Tim Mayo, Nin Andrews, and Gardner McFall who is introduced by Jane Shore. Nancy Mitchell's review of Dzvinia Orlowsky's Convertible Night, Flurry of Stones prompted me to immediately order the book. It awaits me at my kitchen table. I was fascinated by Grace Cavalieri's essay, "Poetry in—and on—the Air." The essay presents a historical account, going back to 1970, of Cavalieri's work with bringing the spoken word to the air waves. The essay is intriguing because it provides a behind-the-scenes' view of how radio has changed, how poetry has changed, and how the teaching of poetry has changed. Then it focuses on "The Poet and the Poem," the radio interviews and readings that have made Cavalieri such a valued member of the poetry community. If my math is not too off, she's done close to 2000 of these programs. You can hear some of them at Cavalieri's website. Under the link for "The Poet and the Poem: Interviews and Readings form the Library of Congress," you'll find audios for such poets as Kay Ryan, Charles Simic, and David Tucker (a New Jersey poet and newspaper man). Under the link for "Innuendoes" and "On Location," you'll find such poets as Billy Collins, Jane Hirshfield, and Donald Hall. There's also a link for Interviews with Poets Laureate. There you'll find the text of those interviews. What a wonderful resource to have available to us! The Sunday evening reading for the 2009 Alhambra Poetry Calendar went very well. Twelve poets participated, each reading his or her calendar poem and one other. We went in the order of our appearance in the calendar which meant that I went first as I'm January 13. 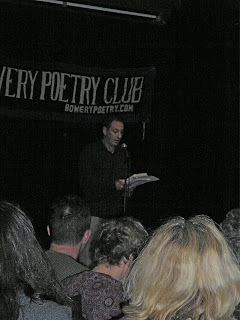 That turned out just fine as after I read I sat back, relaxed, and really enjoyed listening to the other poets. It was a wonderful mixture of voices. This project is the labor of love of Shafiq Naz, who now lives in Belgium but grew up in Pakistan where each school day began with a poem. There's a lesson there for teachers in the US who all too often find that poetry can be safely omitted from the curriculum. Shafiq began by talking a bit about how the calendar came into existence. He'd gathered poems by a number of poets and at first collected them in a small calendar, not even asking for permission to reprint. Later, he realized that he needed to do that. He was advised to go directly to the poets, rather than to the publishers. 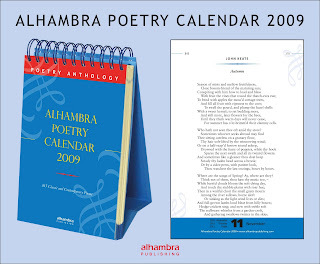 I was delighted to hear that I was one of the first poets he contacted the year he published the first English edition of the calendar. I recall that when in 2004 he asked to use my poem, "Vegetable Love," for the 2005 calendar he also asked me to recommend other poets to him. Now he has a list of over 1000 poets. And the calendar is issued in five different languages. Shafiq said that when he asked a friend who was in publishing if it was possible to become a millionaire in publishing, his friend said, "Absolutely!" Shafiq asked, "How do you do it?" The friend replied, "You begin as a billionaire and before you know it you are a millionaire." I wish these photos were better, but I was too far from the stage and the room was very dark. Why do batteries in digital cameras die so quickly? Even with specially purchased digital batteries, they are dead after about 30 pictures. Anyone have a cure? Poet, reviewer, and opera buff Karren Alenier has written a review of the opera Carmen. Entitled "Finding the Russian in Carmen," the review has been published at The Dressing. Alenier zeroes in on the jealousy theme in the opera. Her reviews usually end with a poem that picks up a theme of the opera under review. This particular review ends with my poem, "My Husband Discovers Poetry." I really like it when different forms of art mingle. One of my favorite readings was given with jazz musicians Spencer and Nancy Reed at Northampton Community College in Pennsylvania. I read for twenty minutes, Spencer and Nancy played and sang for twenty, and then we had a second round. A reading I gave this past summer at the Brockton Library in Brockton, Massachusetts, had an art show in the back of the reading room. So while I know not one thing about opera, I'm really pleased that Alenier saw a connection between my poem and the opera. I also like it when one thing leads to another fortuitously. 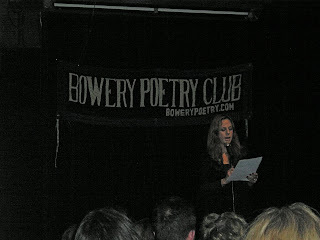 It turns out that as Alenier was writing her review, she read my blog post about the poem and then read the poem. And that's how my poem ended up sharing the stage with Carmen. Susan Kinsolving's books of poems are The White Eyelash, Dailies & Rushes, a finalist for The National Book Critics Circle Award, Among Flowers, and forthcoming, My Glass Eye. She teaches poetry in The Bennington Writing Seminars, a low-residency graduate program. Deborah Landau is the author of Orchidelirium. She directs the Creative Writing Program at NYU. 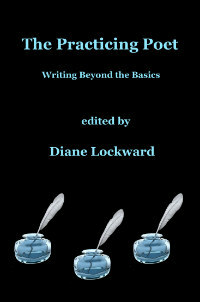 Diane Lockward's second collection, What Feeds Us, received the 2006 Quentin R. Howard Poetry Prize. Her poems appear in Garrison Keillor's Good Poems for Hard Times and in such journals as Harvard Review, Spoon River Poetry Review, and Prairie Schooner. Cate Marvin is the author of Fragment of the Head of a Queen and World’s Tallest Disaster. 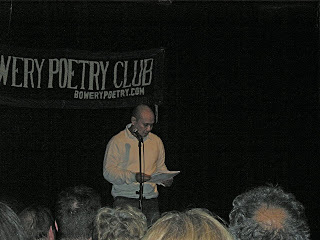 Joshua Mehigan's first book, The Optimist, was one of five finalists for a 2005 Los Angeles Times Book Prize and winner of the Hollis Summers Poetry Prize. D. Nurske's ninth book, The Border Kingdom, was published by Knopf in 2008. He received a 2007-8 Guggenheim Fellowship in poetry. Patrick Rosal is the author of two full-length poetry collections, Uprock Headspin Scramble and Dive, which won the Members' Choice Award from the Asian American Writers' Workshop and was a finalist for the organization's literary awards. 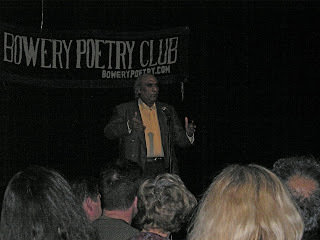 Vijay Seshadri’s collections of poems are Wild Kingdom (1996) and The Long Meadow (2004), both from Graywolf Press. He has received grants from the New York Foundation for the Arts, the National Endowment for the Arts, and the Guggenheim Foundation. Rosanna Warren is the author of Each Leaf Shines Separate, Stained Glass, and Departure. She has won fellowships from the Guggenheim Foundation, ACLS, The Ingram Merrill Foundation, and the Lila Wallace Readers’ Digest Fund. She has also won the Witter Bynner Prize and the Lavan Younger Poets’ Prize. She is Emma MacLachlan Metcalf Professor of the Humanities at Boston University. John Hennessy is the author of Bridge and Tunnel. He received the 2007-2008 Amy Clampitt Resident Fellowship Award. I'm interested in the various ways that poets manage to promote their work, something they really need to do if they want their work to find an audience. Certainly, the internet offers us some great opportunities, especially with the proliferation of audio and video possibilities. Scotland Yard asked London education authorities how many black boys aged four to seven had vanished from school. Between July and September 2001, 300 had disappeared, and police fear thousands may go missing annually. by the density of his bones. a gene, his identity a mystery. a long reach and hunger quenched. One small boy, 299 still missing. They call this one Adam. I love both the video and the poem. Isn't it wonderful to hear the poet reading his poem in his own voice, and, more than that, to see him holding his book and standing in front of an audience? Kind of makes you feel like you're right there. I was happy to come across the video, both because I've been thinking about the value of videos to poets and poetry lovers and because I recently finished reading Collin's fine collection. These are very contemporary poems, written about current events, many of them—poems and events— dark and disturbing. But as in "Human Trafficking," the poems are written with equal measures of passion and craft. I like the way in this poem the poet intermingles the facts, what he knows, with what he can only imagine. Ultimately, he evokes not just a body but a boy, a real boy who once had parents, a home, and a name. Now that you've seen the movie, go read the chapbook. You will find it disturbing and satisfying. "Paula Bohince’s Incident at the Edge of Bayonet Woods is a stunning debut. Both a mystery and a lyric tour de force, the collection immediately takes a choke hold on the reader’s attention and never releases its grip. 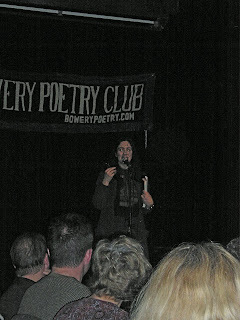 Poem by poem, Bohince unravels her dark story. In Section I we learn that the setting is a lonely rural farm located in the coal-mining country of Pennsylvania. Primitive and shadowed by history, the farm is characterized by mud, grime, cold winters, and poverty. The female speaker, following her father’s grisly murder, returned to this farm where she was raised, to live there and to claim her legacy of loneliness. In the poems, she struggles to get to know her father and to make sense of his life and death. Recalling the farm as it was years ago, she says, “I taste the odor of straw and millet released into fall, / the cursive of my father’s burning cigarette, / muslin curtain parting.” Thus, the stage is prepared for the father’s entry and the mystery’s unfolding. "While Section II introduces the suspected murderers and suggests a motive, Bohince deliberately leaves the narrative incomplete, a strategy that works well to pique and hold our interest. The motive is never more than speculation. The suspects remain merely suspects. There is no real solution to the crime. As our speaker attempts to reconstruct a story she does not fully know, she moves back and forth between present and past, affording us the pleasure of finding clues and reconstructing the story ourselves. As she tries to remember events from her childhood, she must acknowledge the fallibility of memory. In “Landscape with Sheep and Deer,” she says, “I must have dreamt it,” and she wonders, “. . . if there were deer, wouldn’t they have leapt over?” Bohince subtly places us in that oddly delicious and ironic spot of uncertainty." . . .the rest of the review. To further entice you to get your hands on this collection, here are two of my favorite poems. The first, a kind of prayer, is spoken in the collective voice of the women of Bayonet Woods. Bohince does a beautiful job of characterizing the loneliness of the setting. We sense a place haunted by ghosts. off a bender for one hundred years. and cooked them and spat them into our beds. wanting clean shirts, kisses, more children. Tell us, what was a woman’s purpose in those woods? from our men’s curling hair? then lie facedown in its merciful pull. Forgive her, Lord, for leaving this earth so early. This next poem is one of four acrostics in the collection. The speaker addresses her dead father in this elegant and poignant poem. robins, savage in their redness. assumes a fern or bird shape, some feathery thing I put want into. open-ended. I fill my eyes with reminders. you left me. The rest of my life you have left me. Editor Ed Byrne recently posted the fall issue of Valparaiso Poetry Review, one of my favorite online journals. As always, the issue is full of good reads. In fact, this issue is fuller than usual. 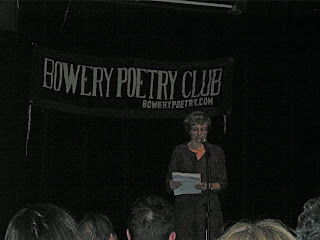 The featured poet is Elise Paschen. 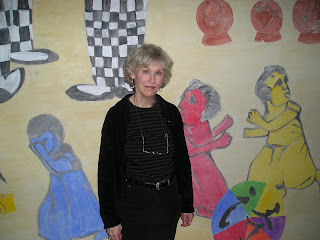 Her feature includes three poems and an interview with Byrne. Then there are poems from such poets as Deborah Bogen, Al Maginnes, Jared Carter, Ann Hostetler, Athena Kildegaard, and Claire Keyes. That's just to name a handful. 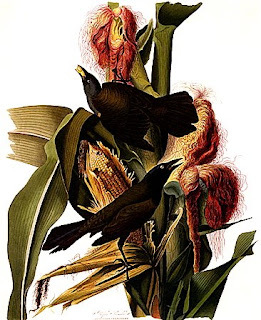 And don't miss the wonderful essay by Jennifer Yaros, "Nature and the Self: Dickinson, Bishop, Plath, and Oliver." 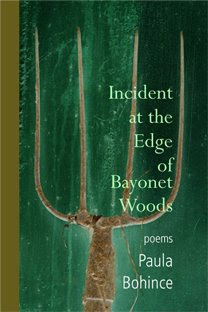 Finally, there are five book reviews, including my own of Paula Bohince's Incident at the Edge of Bayonet Woods. More about that later. Here's a challenge for you. 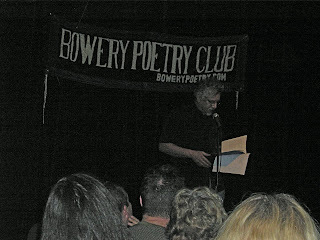 At his blog, Poetic Asides, Robert Brewer is offering a poem prompt each day of November. The idea is to end up with a chapbook. First, you are asked to select a theme. All assignments thereafter should be done with that theme in mind. If you're inclined, you can post your drafts in the blog's comments section. Interesting idea, to begin with the theme. I wonder if that's how most poets do it, or if they write the poems and then find a common link among them. One thing I like about chapbooks, though, is their tightness, their unity—that is, if they have it, and if they don't, that seems a defect to me. On the other hand, I also want variety among the 20 or so poems, eg, different angles on the same theme, different voices, different formats. I'm not up to a poem a day for the next 30 days. But I plan to visit and hope to get a few poems in the works. How about you? Check it out. You're a few days late getting started, but you can catch up. Of course you can. There's a wonderful poetry festival going on right now. You can attend without even leaving your home. No flight, no long drive, no expensive hotel. It's all available via your computer. 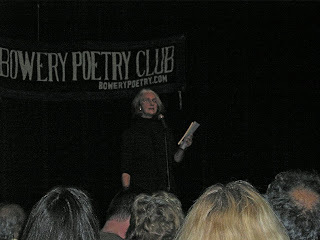 An outgrowth of the Wompo listserv, the Festival of Women's Poetry, 2008 has officially opened its doors to the public. The brainchild of Moira Richards, this project has been under construction for months. It represents one of the ways that the internet and online poetry communities can spread poetry to all corners of the world. Moira was joined by a staff of volunteers who worked hard to assemble this exciting project. Like many projects, once underway it grew and grew, one good idea leading to another good idea. Here's some of what's available: 1) A directory of the members of the listserv; each page includes a photo, links to the poet's website, links to reviews, links to sample poems, 2) A long selection of poems by international women poets, 3) Poems by Foremothers, 4) Discussion groups, 5) Some poetry inspiration, 6) An audio library. Plus more! So pack up a nice snack and head on over to the festival. On Monday, October 13, I posted a link to my poem, "My Husband Discovers Poetry," which was featured at the Ars Poetica site. Thanks to everyone who read it and sent me a nice note! I was happy to see yesterday that fellow blogger and poet Elizabeth Kate Switaj had posted the link at her blog and done an analysis of the poem. Is there anything cooler than someone looking really carefully at your poem? Elizabeth does me the honor of comparing my poem to James Joyce's short story, "The Dead." She ends her discussion by saying, "Now, I have no evidence that reading Joyce directly influenced the writing of Lockward’s poem. Joyce was hardly the first, last, or only one to depict the man as the artist in a couple. Comparing these specific pieces of literature, however, helps to throw light on how narratives change when women do the writing." I'll shed some light on this. I've never read "The Dead." So I definitely was not influenced by that work. Nevertheless, as Elizabeth suggests, the couple in my poem does include an artist, a poet, but it's the woman who takes that role. And it's a woman who knows how to get even. Even though I can't claim Joyce as an influence, Elizabeth's comments have had me thinking all day about Conrad's Heart of Darkness, Kurtz and his Intended. And I remembered that Kurtz was once a poet before he became hollow at the core. Still I don't think of myself or that poem as following in any particular tradition. But then I wonder if we ever consciously follow in a tradition? Or if that's something that critics uncover? Certainly, the same issues and thus themes persist over time. I don't usually like to talk about the personal details that went into a poem, but because I'm so often asked about this poem and because I think of it as an ars poetica, this is one poem I've been happy to talk about. But the question I'm most often asked is "How does your husband respond to this poem?" People assume that the man in the poem is my real husband. They feel sorry for him. If he's in the room when I read the poem (which isn't very often), people turn to look at him, to gauge his reaction. Or they think he must be a creep and I'm well rid of him; they assume that I divorced him. One woman, I've been told, said to a group of people talking about the poem that I, me the poet, had to be a "mean-spirited" person to have written that poem. Now that's a woman who's never met me. Maybe I am mean-spirited, but she'll need better evidence than my poem. I have poems in which "I" am really quite nice. Question: I love the irony of "My Husband Discovers Poetry," the way it combines humor with gravitas. The wife has been spurned; now she spurns her husband. In the act of discovering poetry, the husband is tortured. Many have wondered if this happened or if it is part of your metaphorical life. Can you talk a bit about how the poem came about? Response: What touched off the poem was a conversation with a group of women poets I had just met. They were talking about husbands and boyfriends reading and responding to their poetry, and I stupidly said that my husband never read my poetry. There was an intake of breath and the women, one by one, expressed their disapproval of my husband. They thought it was terrible that he wasn't interested in my poetry, so then I felt I needed to defend him, but they weren't having any of it — they insisted he wasn't interested in my soul. 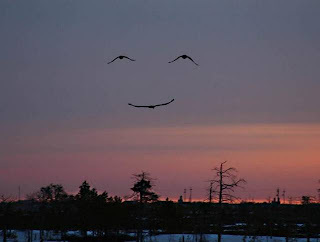 As I thought about the conversation throughout the day, I found myself getting annoyed at my husband for putting me in that awkward situation, and I started asking myself why the heck he wasn't reading my poetry; at the same time, I had to acknowledge that I liked that he didn't read my work because I could write anything and not worry about his reactions. Then I started thinking I could say anything about him and he'd never know. I asked myself how such a wife might get even with such a husband, and the poem began to take shape. So to some extent, this is a kind of revenge poem. I also think of it as an ars poetica. It seems to be autobiographical, as first person poems often do, but by the time the reader gets to the end of the poem, hopefully he or she realizes that there has been some fabrication going on. That's what the wife does; that's what the poet does. But you're right — readers often assume that the poem is entirely autobiographical, and they are embarrassed and sorry for my poor husband. Actually, it's his favorite of my poems. Or should I say his favorite of the ones he's read? There's a new print journal that is currently seeking submissions. It's called The New Anonymous. What makes this journal unusual is that its anonymous editors intend to remain that way and they plan to publish all work anonymously. Now you'd think that your return address or your email might reveal your name, but there's someone identified as "The Mediator" who will remove all identifying matter before passing your work on to the editors. Should your work be accepted, you will receive a document prepared by the journal's attorney. (I didn't know that new journals had attorneys—or old ones for that matter.) This document apparently will bind you to secrecy. Your work will be published, but your name will go into the ether. The purpose is apparently to assert the primacy of the work and the insignificance of the author. The editors describe their intention: "By freeing the prose and poetry from their nominal ties, we free writers from their own generative forms and creative dispositions. The New Anonymous is, in effect, a safehouse where writers can not only question the creative process, but also, in the words of Freud, 'play.'" I can't help wondering if this is some kind of joke, similar to the online anthology that recently usurped so many of our names and attached them to fictitious poems. Why would any poet want to send out work anonymously? Am I an egomaniac if I want my name attached to the work that I've labored over? If I've spent years learning and practicing the craft, why wouldn't I want a few people to know my name? I can understand blind submission and selection, but blind publication just doesn't make sense to me. If my work were accepted, would I later be unable to include my anonymous poem in a collection of my own work? My suspicion that this is a joke is enhanced by a visit to the front page of the website, which is identified as Buckbee, A Writer, Inc., a publicly traded company. Shares of stock are offered, but there doesn't appear to be any product. The Chief Executive Officer is identified as Brian Christopher, aka Buckbee. The website looks like a business site with a professional design, but has pages that raise doubts, e.g., a page about Buckbee's latest physical examination, an exam which took place in his backyard and consisted of jumping on a trampoline as well as picking up small objects. I won't be submitting. How about you? And what do you think—a joke or for real? This past Tuesday I traveled from New Jersey to Philadelphia for a reading with J.C. Todd and Sally Bliumis-Dunn, all three of us published by Wind Publications. Sally came in by train from Westchester, NY. J.C. lives in Philadelphia. We met in the parking lot behind the venue, then walked to The White Dog, a casual restaurant, where we had dinner. 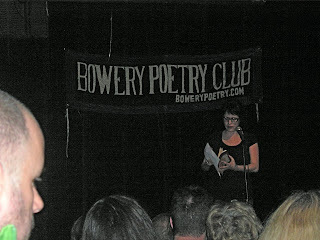 Then we returned to the venue for the reading. The Blue Grotto is the newest series being run by Mad Poets Society. This is one of the coolest venues I've ever read in. It's the basement room of the Community Center. When we first headed downstairs I could smell the typical musty basement odor, but that quickly dissipated and I was charmed by the room. The entire room is an art installation designed by Randy Dalton. As you can see, the room is entirely blue. It consists of dozens of blue lights and all kinds of blue statues, buttons, chairs, hangings, and so on. 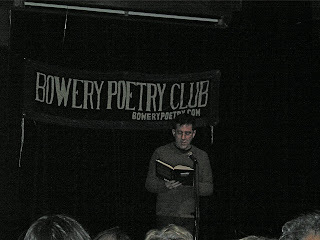 We were just the third reading held in this venue. We read in the area where you see the chairs and one guest. We ended up with just 13 people (and that's counting the poets! ), but it was a warm reading. Those blue lights certainly added to the atmosphere. Hopefully, as the word spreads, the venue will attract more people. It should as it's within shouting distance of both Drexel and the University of Pennsylvania.